This is what I wrote about my Dad for his posthumous induction into the Alabama Auto Racing Pioneers 2009 Hall of Fame. We all raised our glasses of sweet ice tea in a toast to the old Dixie Speedway. An Ensley boy, would drag race motorcycles locally on Sunday afternoons in the early 1950's. Would win every other weekend as he and 1 other particular motorcyclist would out perform the other on alternating Sunday afternoons after a week of preparing their bikes for the next match. After motorcycle racing, he moved on to drag racers about 1953 which he built himself. 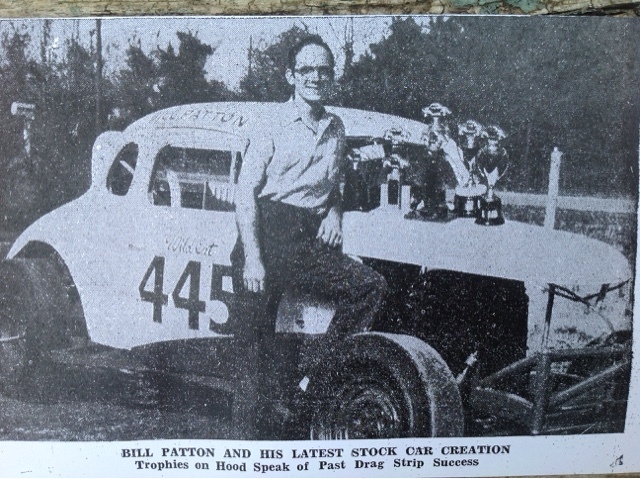 Bill had 8 different trophies in his drag strip activities including the first professional drag race trophy ever presented in the Birmingham area. 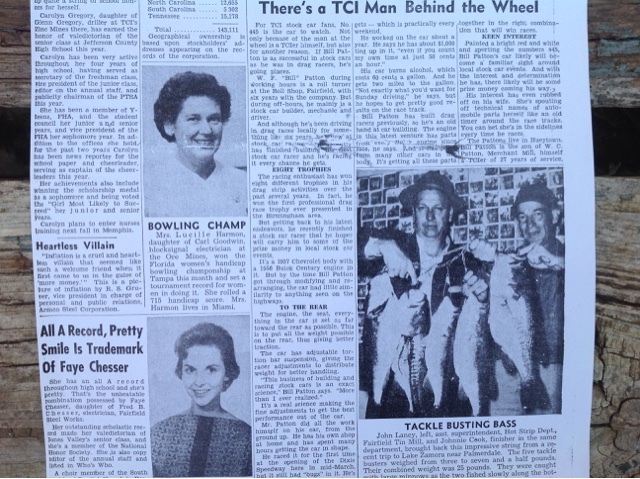 He had tired of the dragstrip after filling his wife Shelby's piano top with trophys and built his first stock car racer in 1958 at their residence on Brooklane Drive in Hueytown, Alabama. After complaints from the zoning board about all the car parts in the yard, the "Wildcat 445" Red & White racer was born. It had parts from every Buick engine since 1953 and had parts from many other cars in the body. 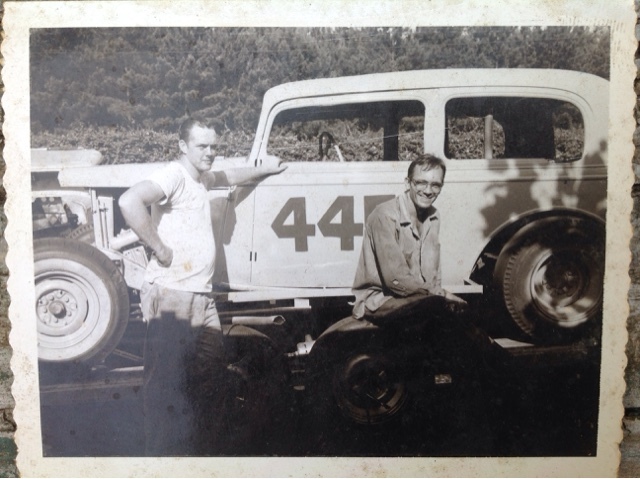 He raced it for the first time at the opening of the Dixie Speedway in Mid-March of 1959. 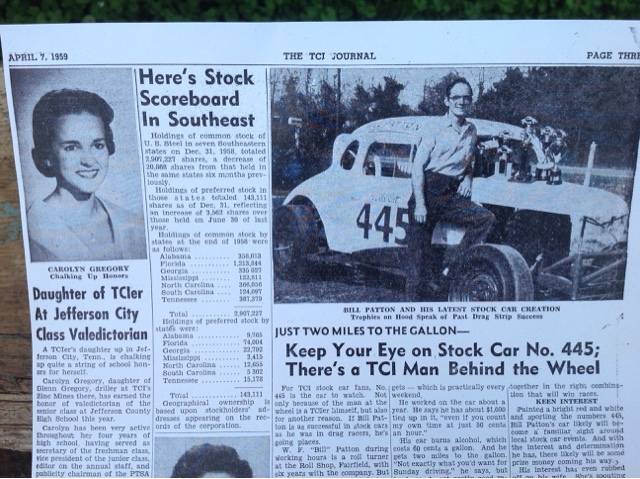 Bill made $75 per week working at TCI Fairfield works and he made more money in towing allowance on weekends starting with Dixie Speedway on Friday night, Montgomery Speedway on Saturday night and BIR on Sundays. He wrecked at BIR in 1961 before his daughter Cheryl was born and after her birth the family moved from Hueytown to Woodstock, Alabama where the Buick Wildcat was reborn in Silver color. He worked nights at TCI and would come home, sleep, and then work on the racer after he woke up. The "Wildcat 445" was reborn in Silver color and ran "like a scalded dog", taking him to Rookie of the Year. He was a great motivator and was often teased about his welding ability. He stopped racing in 1963 after the birth of his son Richard because Shelby could no longer travel with him to the races and he said "it wasn't fun anymore". Before ending his stock car career he was offered a sponsorship by a prominent Birmingham area Buick car dealership. Note: A motorcycle racer friend, Cecil Golden, won 3rd place in The Nationals with a motor built by my Dad.